(Relaxnews) - Yogurt got a makeover that could fight weight gain and bolster your body with extra protein. 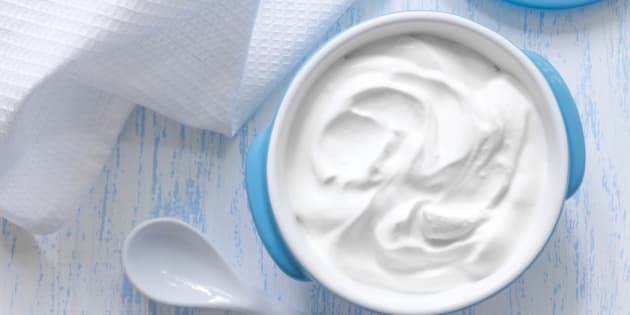 In a study that clears a new path in nutritional control strategy, researchers in Spain successfully designed a yogurt that's higher in protein and more satiating than the conventional kind. "In the market there is a real necessity to formulate food that helps to control the appetite," says Susana Fiszman, a research doctor and project coordinator at the Spanish National Research Council (CSIC). Protein is key to satiety, according to Isabel Hernando, a researcher at the Group of Microstructure and Food Chemistry and the Universitat Politècnica de València who says dairy products that are high in protein demonstrate this. In the study that was published in the journal Food Research International, the researchers tested several formulas before arriving at the most effective recipe. They added powdered milk to one version, a buttermilk protein to another and sprinkled two percent starch on each of those mixes to make other variations in which the goal was to create a creamier texture. A conventional recipe was used to test their new formulas against one another to see if they really were more satiating. Testing involved over 100 consumers, and the powdered skimmed milk and starch formula was their overall favorite. "Moreover, the addition of starch in the control sample significantly raised the perception of its satiating capacity, so its use to reinforce this capacity could be a useful tool in this kind of dairy products", says Hernando. She says density, compactness and creaminess -- all of which are attributes of satiating foods -- were among the qualities the consumers identified when tasting the yogurt that contained the powdered milk and starch. Yogurt makers have received criticism in recent years over the practice of skimming the fat and making up for the loss of richness by adding sugar-laden fruit confiture. Not only does fat skimming reduce the satiety of the yogurt, added sugar often comes close or exceeds the daily intake recommended by the American Heart Association. The Spanish team, which includes researchers from the Instituto de Agroquimica y Tecnologia de Alimentos (IATA), is at work improving the satiety of other foods including cheesecake, they say. It's not sure when their products will hit the shelves, but readily-available foods known for their satiating effect include eggs and nuts. A 2008 study published in the International Journal of Obesity found that dieters who ate two eggs for breakfast lost 65 percent more weight than dieters who ate a bagel of equal calories. The leader of that study, Nikhil V. Dhurandhar, PhD, said that the high protein content of the eggs soothed dieters' hunger sensations throughout the day.